Pacific Ocean off the Coast of Okinawa, Japan (Jul. 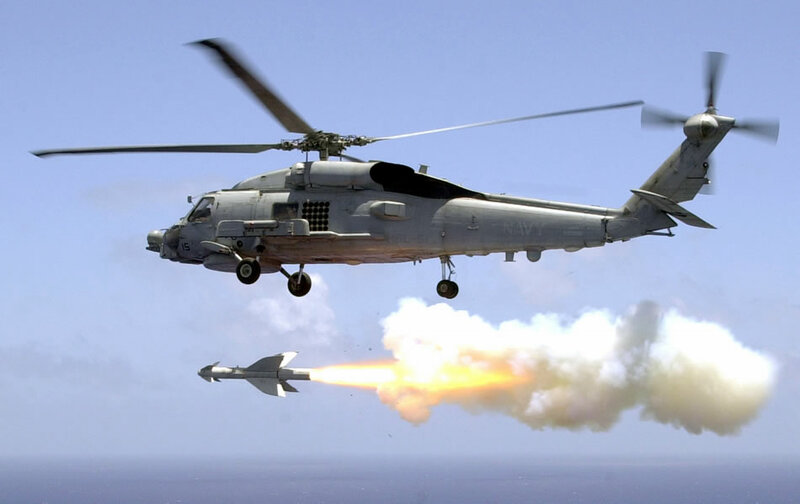 23, 2002) -- Helicopter Antisubmarine Light Five One (HSL-51) fires an AGM-119 �Penguin� anti-ship missile from an SH-60B �Sea Hawk� helicopter, during aircrew weapon certifications. HSL-51 is home based at the forward deployed naval facility in Atsugi, Japan, with detachments operating out of Kadena Air Force Base in Okinawa. U.S. Navy photo by Photographer�s Mate 2nd Class Lisa Aman.